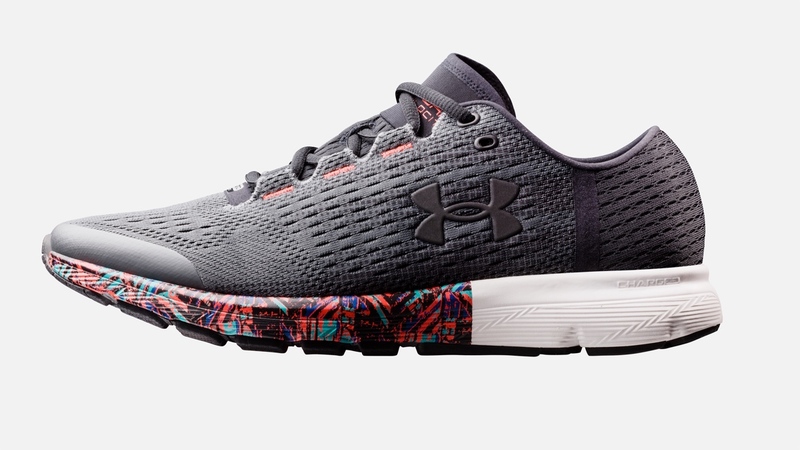 Under Armour has officially unveiled the successor to its SpeedForm Gemini 2 RE smart running shoe with three new styles to choose from and more data now on offer for runners. The UA SpeedForm Gemini 3 RE ($160), Velociti RE ($140) and Europa RE ($160) range pack in the same sensors as the Gemini 2 shoe to offer automatic run tracking and the ability to record data including cadence, real-time pace as well as storing the mileage lifetime of the shoe. All of that data is stored in the iOS and Android-friendly MapMyRun app, which is integrated with Under Armour's Record app that pulls in data from other UA wearables including the UA Band and UA Heart Rate chest strap. Along with some basic running stats, Under Armour is also adding a new Jump Test feature that scientifically measures muscular fatigue level to help you decide whether you should be putting in a big 10 miler. It works by measuring the average air time of a sequence of jumps. It should help users track recovery status over time and provide guidance on how to alter the intensity of a workout. The new collection aims to cater for a wider range of runners, whether you're all about endurance or you prefer to pick up the pace. The Gemini 3 features a knit midfoot panel for added support and charged cushioning for improved responsiveness. The Europa is a more lightweight option with a mesh tongue and toe box for a more snug fit and increased ventilation. The Velocity is another lightweight shoe that includes an embedded sock liner for increased support and charged cushioning for an extra layer of durability. Like the Gemini 2, you don't need to charge any of these connected shoes. The new UA SpeedForm range is going to be available to pre-order from the UA.com website from 5 January, which will include an annual subscription to MapMyRun. They're all going to be on show at CES 2017, which kicks off in January and we'll be there to take a closer look at them.